I received a Peterson Centenary 4s (my beloved 309 Dutch Billiard shape) from Mike Glukler of Briar Blues this week. I’d thought about the pipe for a long time, even had it on hold for several months without buying it. But its 0/11 place in the Centenary 4s lineup spoke to me, as did its lovely stain. I already knew it was an “A” bowl from our research on the 1875-1975 Centenary pipes for the book, so I knew there’d be no pits or fills. Some of the Centenary pipes number up into the eighties, so the relative rarity of this one made it even more attractive. It had a few issues: no paperwork, no box, no sock, loose stem. For the price, I could live without the first three, but that mention of a loose stem puzzled me. The size appeared right in Mike’s photos, so how could an army mount DeLuxe System stem be loose? Mike thought it might simply be the wrong stem. I had a hypothesis, but there was only one way to find out for sure, and that was to look at the pipe in person for myself. The stem wasn’t loose, but, as I thought, the mortise had been widened to close the gap. As you can see in the photograph, someone who paid top dollar for this limited edition (pictured on the left) decided to alter it. While this is an almost inconceivable thought in 2015’s climate of pipe collecting, it would not be so in any decade up to and including the 1980s, when closing the gap was part of the established mythos of Peterson’s space-fitting DeLuxe System stem. 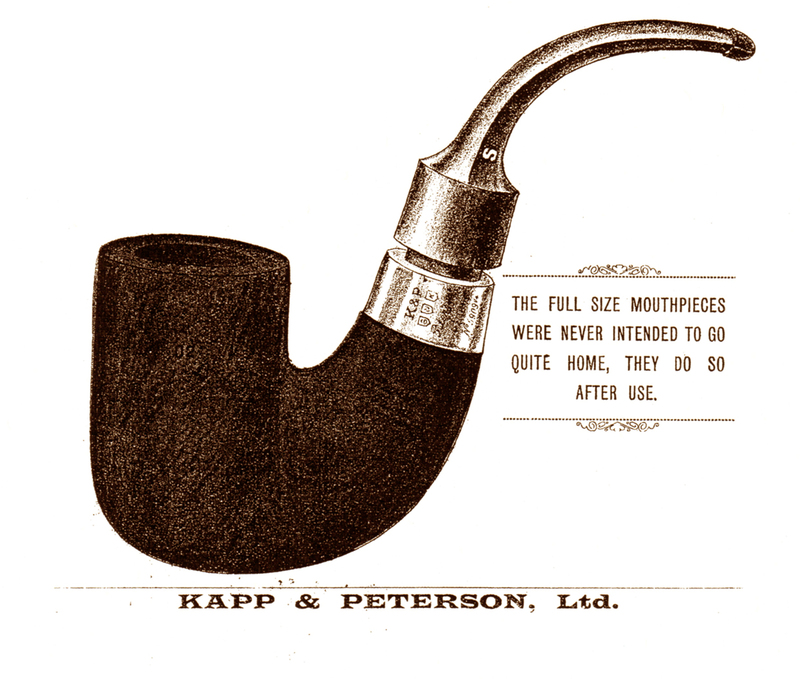 In my early days I was extremely fortunate that Ted’s, my pipe shop in Tulsa, Oklahoma, was a long-established Peterson dealer, and every time I went in I soaked up a little Peterson lore. It doubtless helped that both Ted and his wife Beth were fiercely proud of their Irish heritage (Beth even winning an all-expenses-paid trip to visit the Peterson factory at one point). As a high-schooler, I always made my way slowly through the examination each case of pipes, saving the Petersons for last, lingering over the Peterson demonstrator set out on display (a pipe split in half to show how the System worked). I can’t say when I heard it or from whom I heard it at Ted’s, but for nearly as long as I’ve smoked a pipe I’ve known about the gap in the DeLuxe System and how it closes over time. The second Christmas after I was married, my wife (bless her) saved up and bought me a pipe far out of my range, a DeLuxe 11s. In those days a Standard System ran about $33, a DeLuxe a little over a hundred. Where she found the money, I never asked. She was so excited about giving it to me that she simply couldn’t wait for Christmas day, and so Christmas came early for me that year. I knew I had my work cut out for me, closing that gap. It would take a lot of smoking, but I figured in eight or ten years it would begin to close. I was wrong. But such was the strength of the gap myth that I figured that some day, somehow, mine would join the hallowed ranks of the DeLuxe Closed-Gap Systems. Thirty-seven years have passed, and if the gap has closed to any appreciable degree, I can’t see it. What is remarkable is that I’d known about the closing of the gap for all those years without having read about it anywhere in the Peterson ephemera—it had simply been handed down from smoker to smoker. Back in the day when a man would not be seen in the office without a tie, a well-pressed shirt and a suit or sport-coat, his pipe was expected to look fatigued and well-worn. How ironic that today we wear to work clothing once fit only for the weekend but try to maintain our pipes as if they’ve never been smoked! Well, fast-forward to the Centenary 4s. Whoever did the job did it well, as the tenon in fact seats exactly as a System is supposed to, quite snugly. The wood inside the mortise (as you can see) looked new, so it apparently hadn’t been smoked after the conversion. 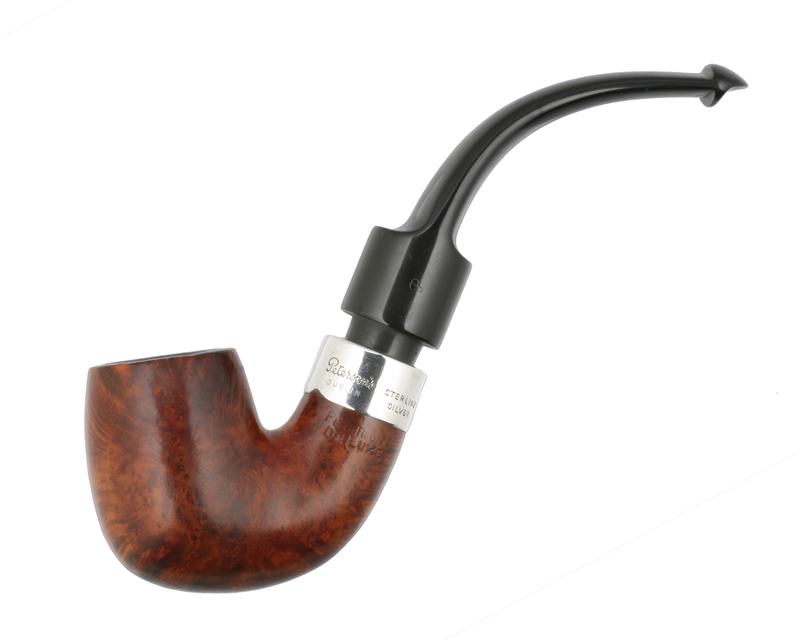 My next concern was that the “chimney” (what non-Peterson pipemen mistakenly call a “stinger” but is in fact a tenon extension screwed into the stem of all DeLuxe Systems) might dip so low as to touch the bottom of the reservoir or otherwise impede the smoking qualities of the pipe. If it did, I figured I’d send the pipe off to Sallynoggin where they could cut a new stem to fit the enlarged mortise. *To be sure, every full Peterson catalog contains this information. But how many pipe-smokers ever own a real pipe catalog? I collected point-of-sale brochures and scooped up catalog brochures every time I went into a pipe shop (those were free! ), but full catalogs were something else again. The 2010 Peterson catalog echoes those before it saying the DeLuxe System features “a unique space fitting mouthpiece to allow for years of wear” (p. 4). **His comment was posted under the “Chat With the Smoker” page. What a timely blog entry. Coincidentally, I recently bought a 1979 Deluxe 11s. My stem is nearly “home”. This is my first system pipe and I suspected the stem fitment was by design. But, I don’t recall ever seeing a proper explanation until now. Thanks for the information. Having smoked Peterson’s for over 40 years I kind of “knew” the stem was meant to fit that way, but had never heard an explanation. Patrick Larrigan here. 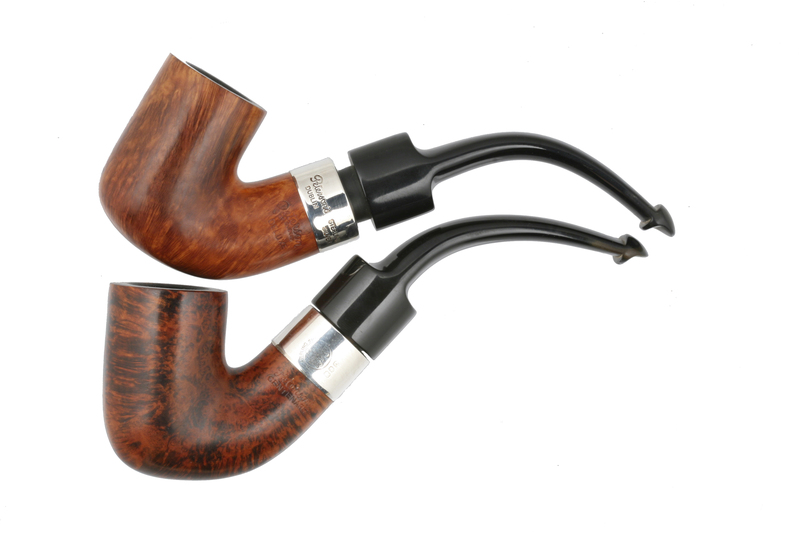 The design of the pipe was called Peterson space fitting and that was to allow for wear. If those two faces met you lost the grip. So it seldom did happened. 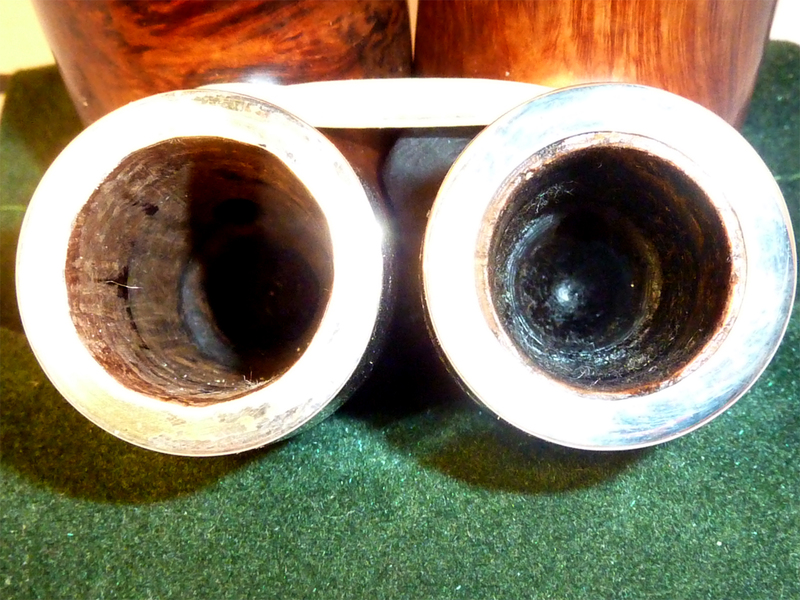 Earlier generations probably did treat their pipes more fiercely but we didn’t have many complaints.